So, did I ever mention my slight obsession with housewares? Part of it is being a food photographer, of course, but I like them even apart from that. Some women browse in the shoe department but I'm over in the kitchen department eyeing a new casserole dish. Add to that my fondness not just for cocktails but for barware and it can get to be an expensive habit. I've found a decent number of "treasures" in dusty old thrift shops and flea markets but those are hit or miss. The fact is that when I know what I need, I shop at the restaurant supply stores. Most are "downtown" somewhere, in whatever city you live, and then you have to get it all home which is especially difficult if you live in a city like mine, where people don't have cars. For me, the key to restaurant supply happiness is an online store and shipping. And a little self-restraint. Or not. 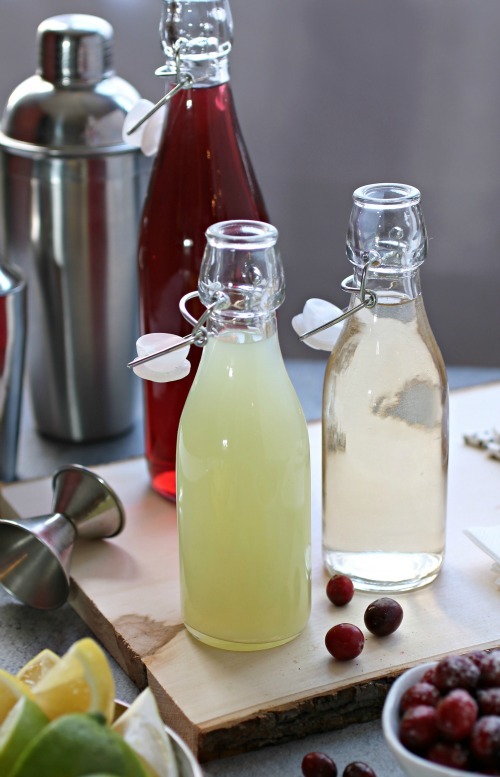 What I wanted to do was throw a DIY holiday cocktail party with cranberries as the base and then give people options for which spirits they like, how much sugar, how much citrus, etc. They could just customize it themselves. 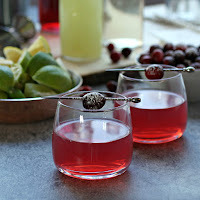 I provided the recipe for a cranberry version of the classic gin based Tom Collins cocktail but those same flavors would also work with vodka or bourbon so I put out all of them and let my guests choose. 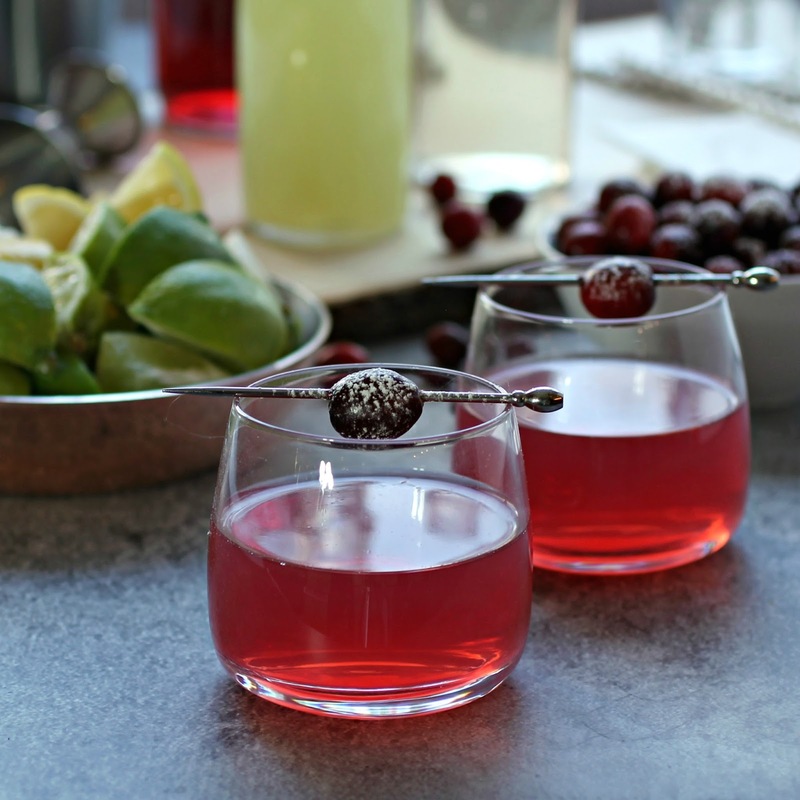 But a party like this meant that I needed bottles (another little obsession) for the cranberry juice and simple syrup, glasses, dishes to put the citrus in, napkins, straws, etc., etc. And I got it all at Restaurantware online. My only problem now is how much more they have that I want. Send help. Or gift certificates. Cheers! 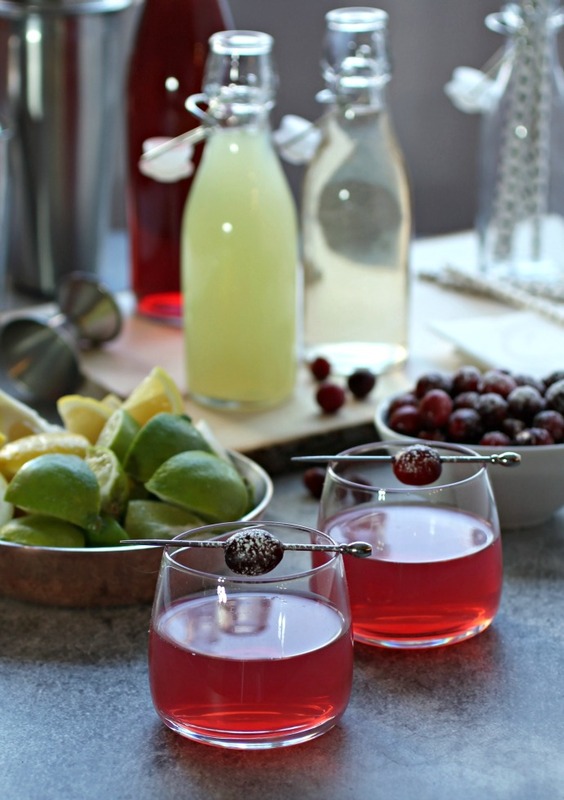 Combine the gin, cranberry juice, lemon juice and simple syrup in a chilled cocktail glass and top with the club soda. 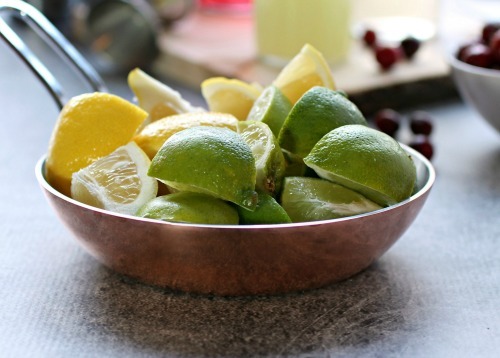 Garnish with some sugared cranberries or a wedge of lemon, if desired. This recipe was sponsored by Restaurantware. Thank you for supporting the products I love and use in my kitchen. I'm the same as you! I'd rather shop for new kitchen toys and props than shoes or purses. Still deciding if that's a good or bad thing ;) Love this cocktail party set up! Love this idea for cocktails! I LOVE those flip-top bottles! And I'm a gin girl, so this cocktail is speaking to me. My kitchen toy obsession is a strong one, it's always been this way. They are just so pretty! This setup is so fun and this cocktail is right up my alley. New kitchen toys are my favorite! I'm thinking this lovely cocktail needs to be a part of my Christmas eve celebration. Now this is looking really delicious dear and I am glad that you shared its recipe here. I am planning to throw a party for my close ones at event space nyc and I will definitely include this drink in party. Thanks.